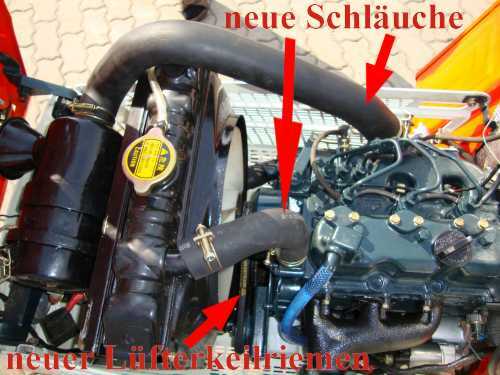 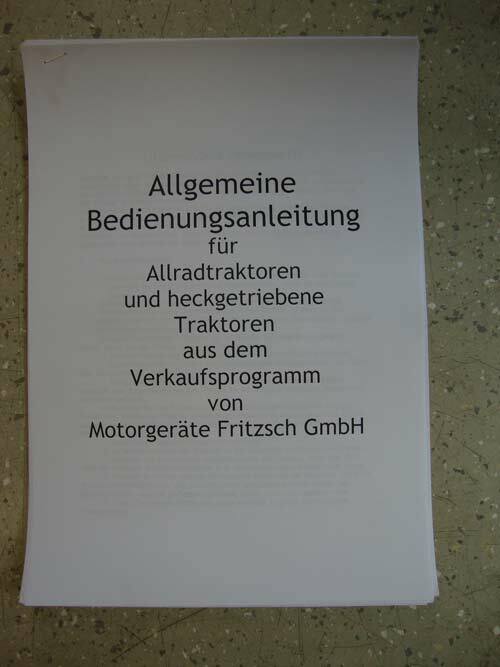 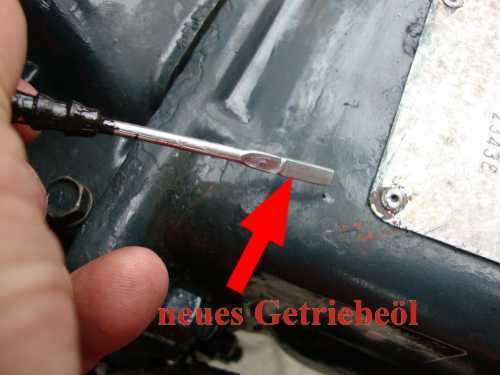 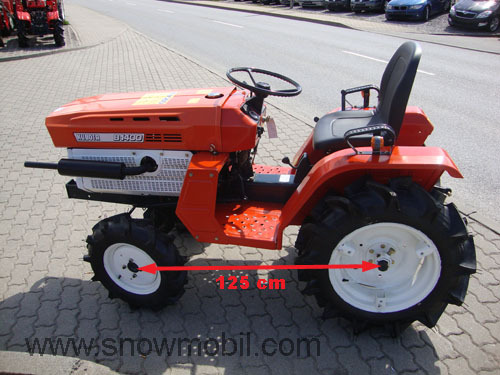 5.090,00 EUR 19 % VAT incl. 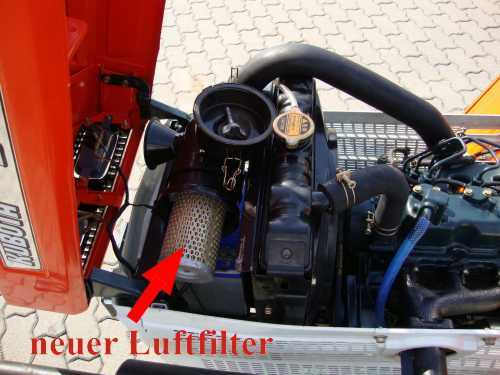 • Power: 19 PS/12,9 kW at 2600 rpm. 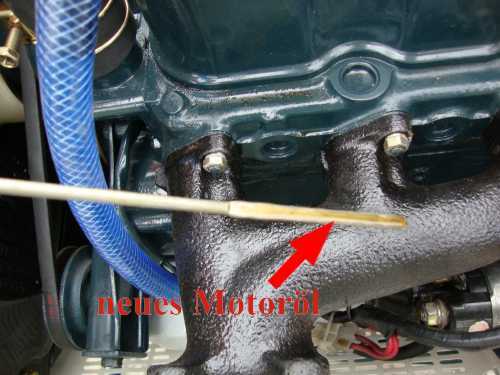 • PTO Speed: 540 - 860 - 1000 U/min. 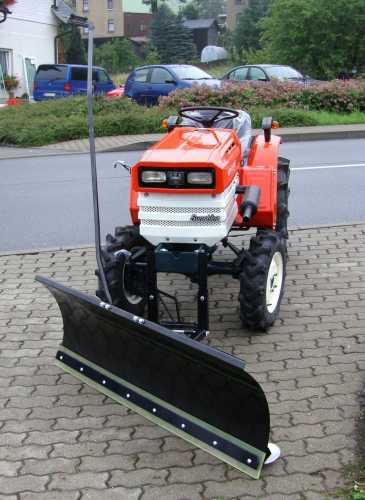 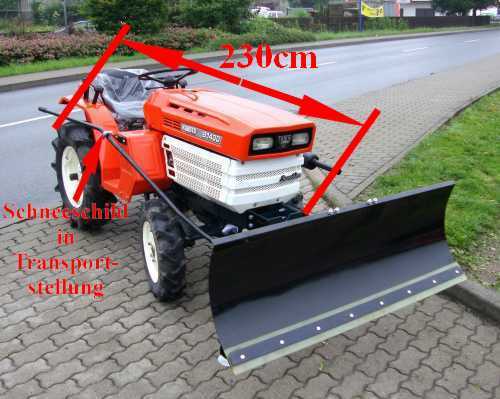 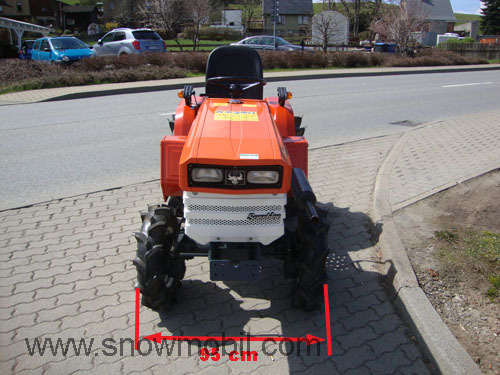 The snow plow has a working width of 140 cm and a height of 50 cm. 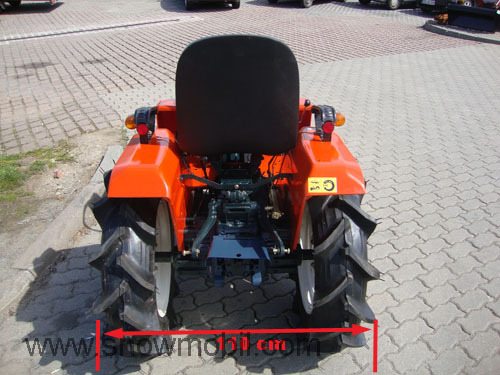 Alternatively working width of 118 cm minus 30,00 Euro. 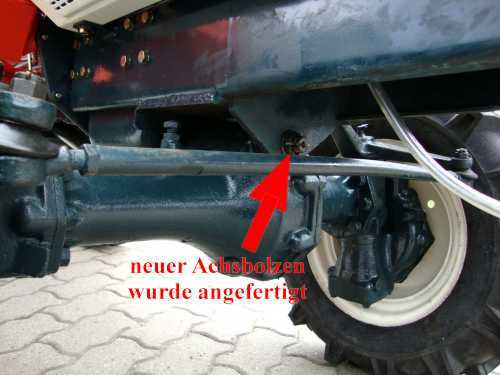 The lifting takes place by means of this long lifting rod, which can be hooked into the side-mounted hook. 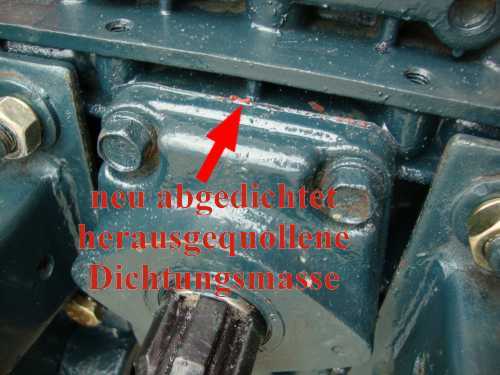 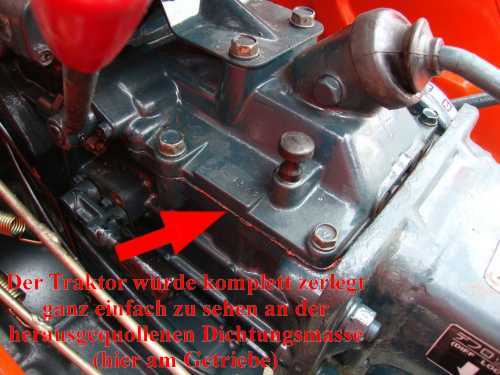 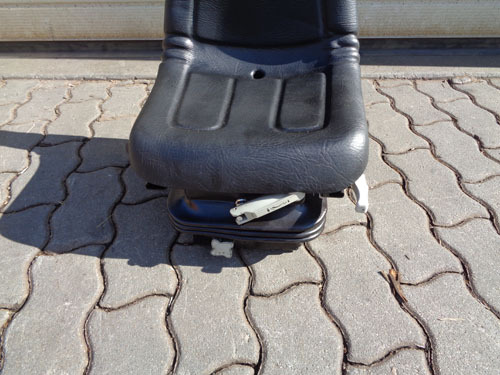 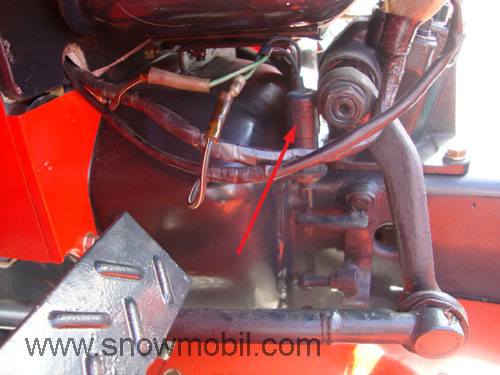 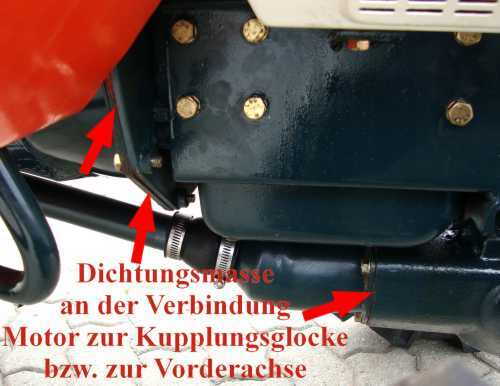 The snow plow can be pivoted 5X by pulling the spring-loaded socket pin. 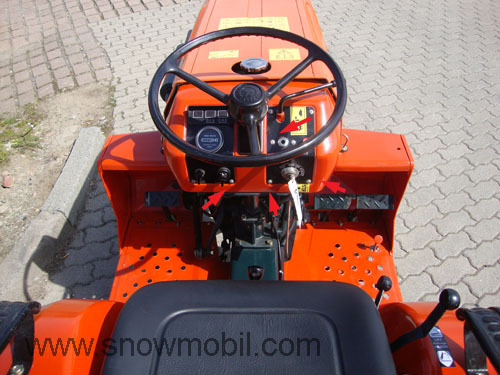 It is designed as a safety flaps spring snow plow. 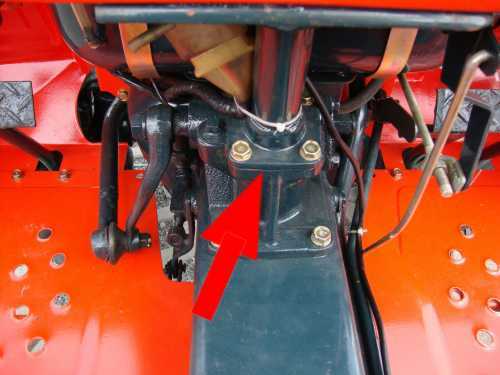 The 4 springs can be stretched infinitely via these threaded bolts depending on the load. 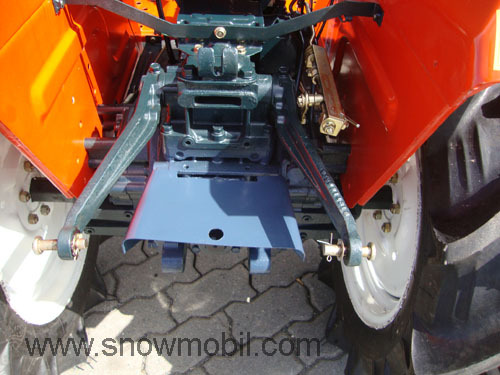 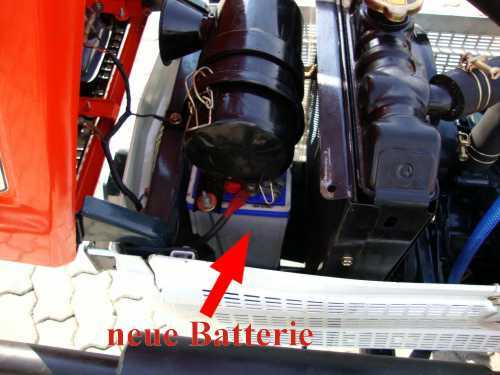 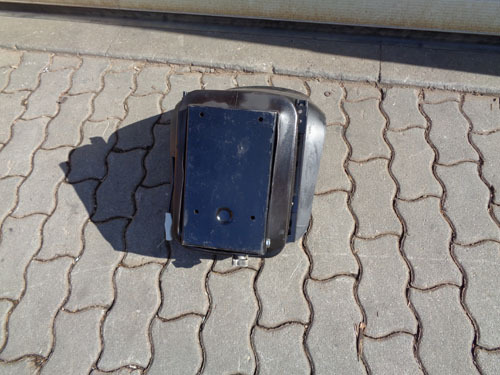 Using this socket pin the snow plow can be removed or mounted quickly and without tools. 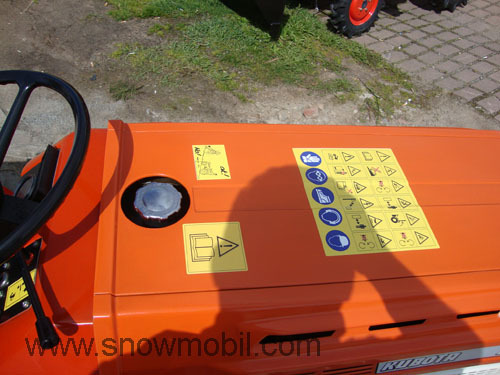 By means of the infinitely variable skid, the height of snow shield can be adjusted. 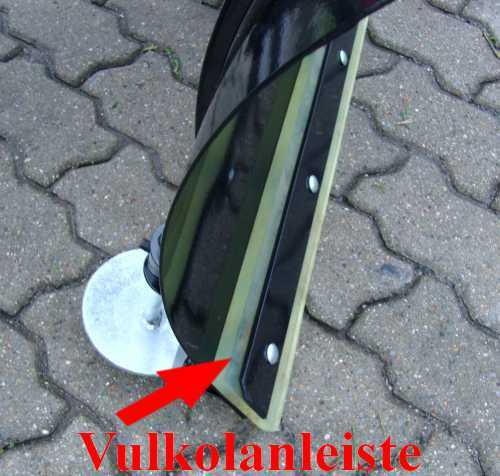 Supplied with a strong vulkolan strip as a rubbing strake, which is 10 cm high and 15 mm wide. 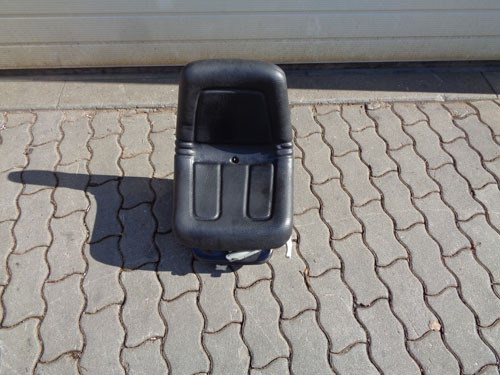 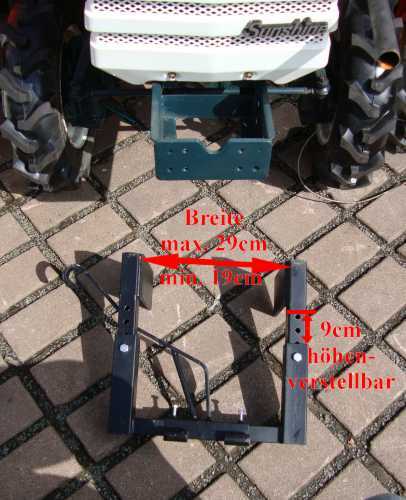 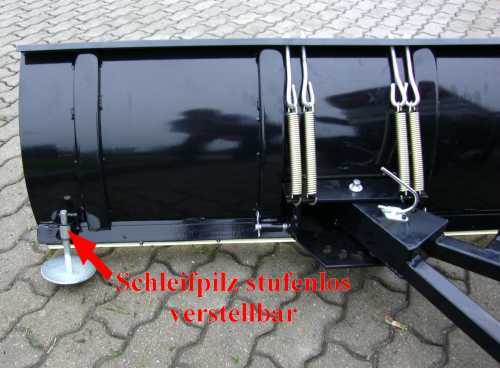 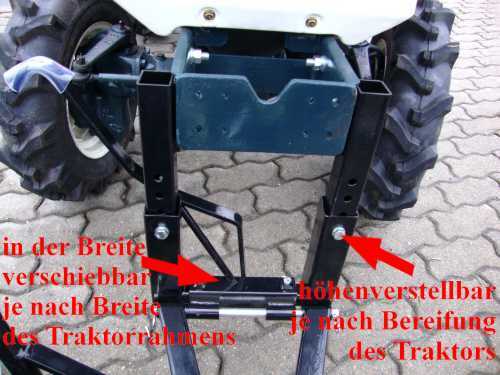 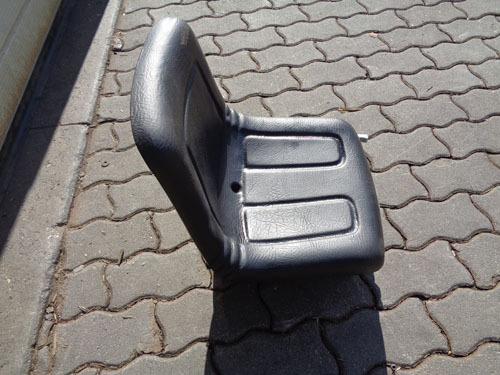 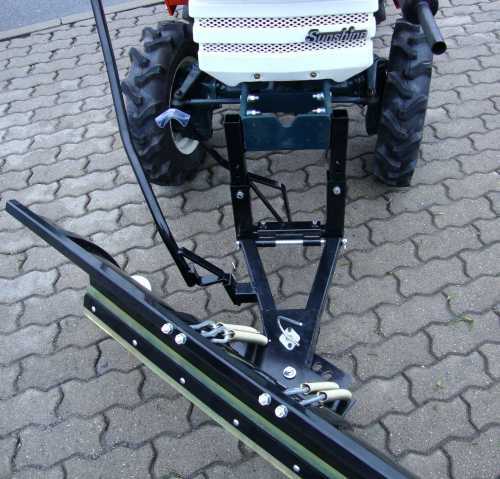 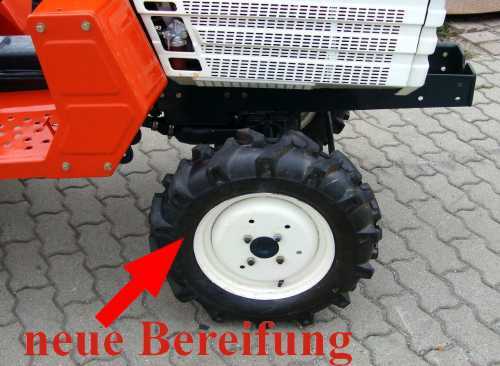 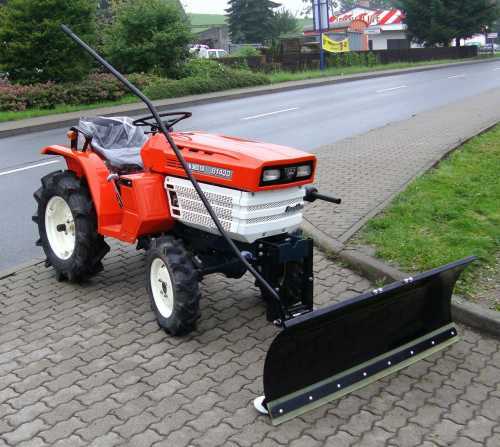 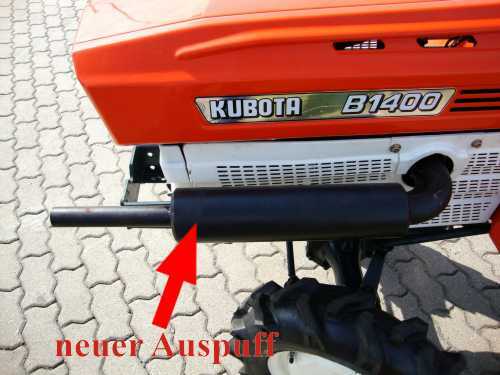 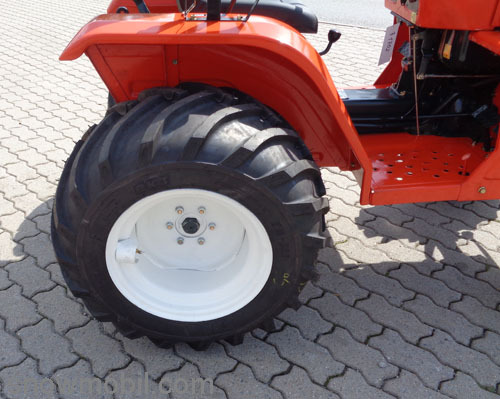 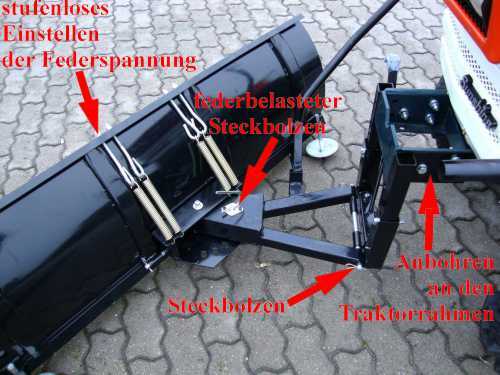 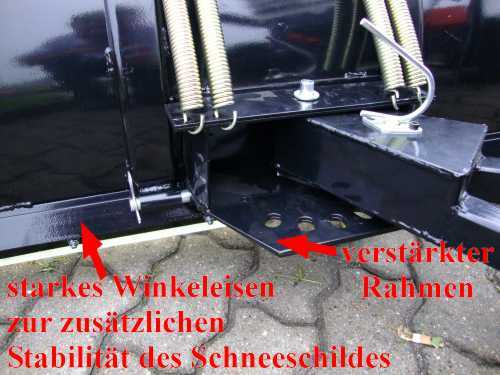 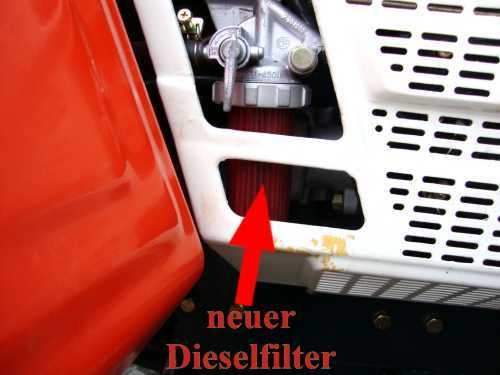 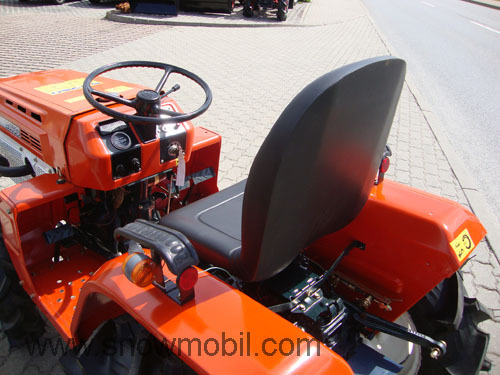 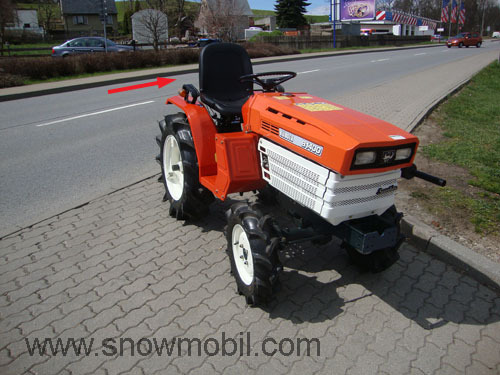 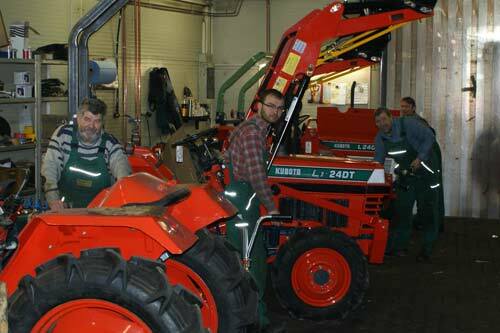 The mounting frame can be flexibly adjusted according to the width and height of the existing tractor. 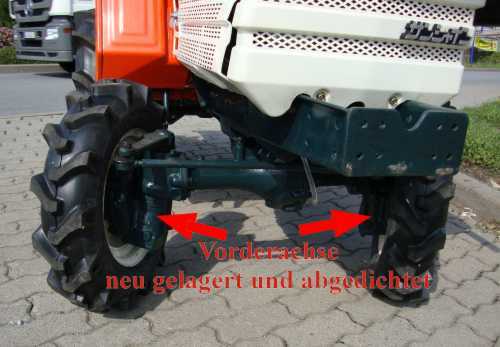 Thus, with little effort, the framework can be mounted on any tractor.